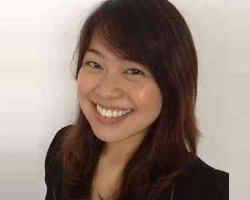 Ms Chua Kaizi has been practising as a Registered Dental Hygienist and Therapist since 2008. With 9 years of experience working with aesthetic dentists and orthodontists, she has been a great asset in helping patients along their orthodontic journey. Ms Chua has a bubbly and friendly personality and is able to connect well with both adults and the younger patients. She is often the first person that most patients would share on matters relating to their work, hobbies, holidays and other personal trivia. Since joining Mount Elizabeth Orthodontic Clinic (MEOC) in 2013, she has fully embraced our treatment philosophy and expanded our abilities to focus on the preventive, maintenance and retention aspects of orthodontic treatment. With her help, we are able to spend more time to engage and educate patients and parents, monitor and document the treatment progress, institute preventive measures such as regular oral hygiene instructions, fluoride varnish application and fissure sealant, scaling and polishing in order to reduce the incidence of decay and gum diseases during treatment. She also maintains a regular and closer follow-up of our patients after the removal of the dental braces and completion of the orthodontic treatment. We believe that the removal of the dental braces is only the beginning of a journey to preserve the new smile and healthy teeth with a proper retention regime and regular check-up and cleaning.